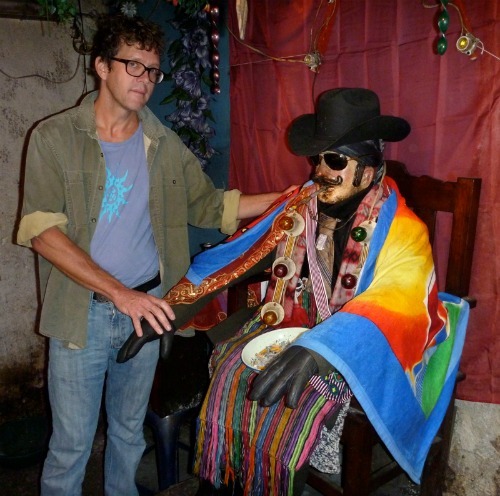 Filmmaker Robert Flanagan with Mayan deity "Maximón"
I met Robert and Suzan in Guatemala during a visit in early 2013. They were renting out the home next door in the charming colonial city of Antigua. It was an amazing coincidence, that of all the people to be neighbors with, to find fellow documentary filmmakers! Formerly New York City residents, Robert Flanagan and Suzan Al-Doghachi now split their time living in Guatemala and Belize. When I met the husband and wife filmmaking team, they were in the final post-production stage of making their documentary MAXIMÓN: DEVIL OR SAINT about the controversial Mayan deity. It was my first introduction to this odd character called Maximón who I later saw in person in the Guatemalan town of Santiago perched on stunning Lake Atitlan surrounded by three volcanoes. 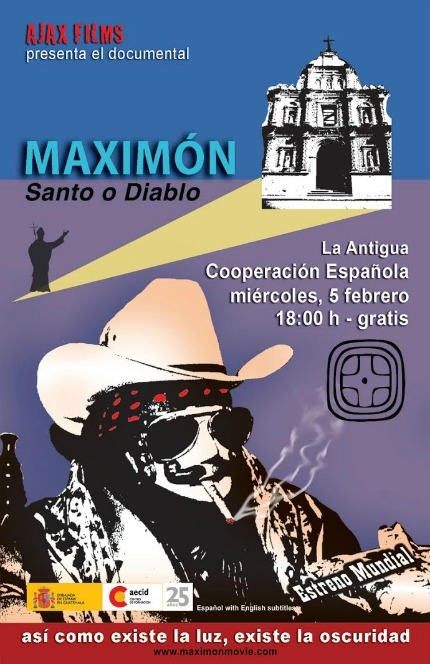 On February 5th, 2014, MAXIMÓN: DEVIL OR SAINT makes its world premiere in Antigua, Guatemala. Below is my interview with Robert who directed and co-produced the documentary with Suzan who edited the film. What is your filmmaking background? How did you first get interested in making documentaries? I never studied film, or movie making of any kind in school. My dad had a super 8 film camera and my friend and I started making stop action dinosaur movies when we were kids. Later I worked on several big production features in NYC and I realized pretty quickly that was not the way I wanted to make movies. I felt much more connection with the New York Underground filmmakers such as the Kuchar brothers who are my personal friends, or the films of John Cassavetes. Inspired by these people my wife Suzan and I worked in 16mm film, making shorts and features, casting actors and non-actors from the streets of NYC and taking a completely hand made approach. We started making documentaries when we got our first video camera. We went to Belize and made two cultural documentaries without really knowing anything about the place, we just knew it was so amazing it had to be documented. To put it simply, we got into documentaries because we were inspired. Eventually we moved to Belize and we started getting paid work, doing documentaries and educational films for environmental organizations which are used in schools and shown on television. Filmmaker Suzan Al-Doghachi with controversial Mayan deity "Maximón"
How did you come up with the idea of doing a documentary on Maximon? Maximón is a Maya deity from Guatemala. Life-size figures of him can be found in temples and houses throughout the country, he looks a lot like a cowboy. He is a controversial and mysterious figure. There are those who believe he is a saint and those who believe he is part of satanism. The mystery that surrounds Maximón played a large part in the creation of this film. In the 1980's I was living in London. For no apparent reason I created a figure out of old clothes and a mask. I gave him a cowboy hat, I gave him sunglasses, I gave him a cigarette and I gave him a beer. At this point I knew nothing about Maximón. It wasn’t until 25 years later on my first trip to Guatemala that I walked into the casa de Maximón in Zunil where I immediately recognized the figure sitting on his throne as the same one I had constructed in London. I really had no choice but to make this film. This began my journey with Maximón. From start to finish, how long did it take to produce the documentary? This documentary took us ten years to complete. When we had time and money we would return to Guatemala and continue shooting. The entire crew was made up of my wife and I. It also took time to get to know the subject and the people and while we were making this movie we produced many other films in New York and Belize . Some projects, regardless of their running time, can be made quickly and scripted beforehand. Although we like working in that manner, this film was more of an investigation and I don't think it could have been done in a shorter period of time and it has been quite an adventure. Any unique challenges along the way? There were many challenges. For example neither my wife nor I could speak Spanish when we began the project. We learned the language making this movie....I still need to learn a lot more, hahaha. 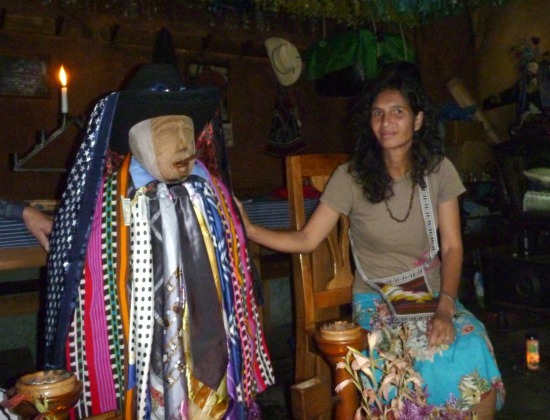 Maximón - Santo o Diablo is about a spiritual subject and Maximón is generally shunned by established churches, so the believers are very sensitive and it takes time to get to know them. One can not expect to charge into these sacred places with cameras rolling, a lot of patience is required, and that is a challenge. If you don't mind sharing, what was your budget for your film? Did you do any fundraising or was this a self-funded project? This movie is a personal project and was completely self-funded. We were working on many other projects at the same time, we never had time for fund raising. The video technology is so economical compared to film and we kept the production bare bones, taking buses and living cheap while in production here in guatemala. The budget is very hard to calculate but the production cost us no more than a backpackers trip through Guatemala. We did put some money into the post production, sound and music, etc. If you have funding to make a movie, great, but don't let lack of funds stop you. There is always a way! What equipment did you use to shoot and edit your documentary? AJAX FILMS is a small production company and we like to keep it simple. We shot this project with the Sony TRV 900 till it fell apart under the rigors of the tropics, bless its soul, and then on a tiny Panasonic PV-GS500, all standard definition. It looks great! Our microphone is a Rode NTG-2 with a Beach-Tek preamp adapter, excellent sound and lightweight. Suzan edited the entire piece on a Mac laptop with Final Cut Pro often using solar power in the jungle. Having a small crew has a lot of advantages but in this case a third person would have been helpful some of the time to take still photos. We lack good stills because we were occupied with the video and sound. Still photos are very useful for promotion, website and package design. What is your distribution plan (film festivals, VOD, DVD, libraries, etc)? Ah, distribution! This part is always a bit tricky when you work independently like we do. We have had success selling our past projects to universities and libraries and plan to do the same with this film. We are pursuing Amazon and VOD outlets. We are arranging screenings at cultural centers here in Guatemala and plan screenings in the USA where we will sell DVDs ourselves. We are also very excited about a lecture tour of universities and institutions where we will accompany the movie and give a talk, answering questions and stimulating dialogue. That should be an adventure in itself. 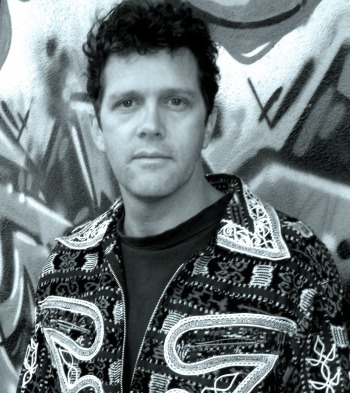 Robert Flanagan is a filmmaker and visual artist. He has been making movies since childhood, starting with claymation in Super-8, continuing with feature films in 16mm and currently making documentaries. In 1990 Robert founded AJAX FILMS in New York City and has been working in Central America since 2000. All of his films and paintings are guided by his personal vision and his interest in bringing the mystical into the light of day. In his third feature, Bird in the Sky, Flanagan explored the relationship between good and evil, he has taken this theme even deeper in his current documentary MAXIMÓN - DEVIL OR SAINT. 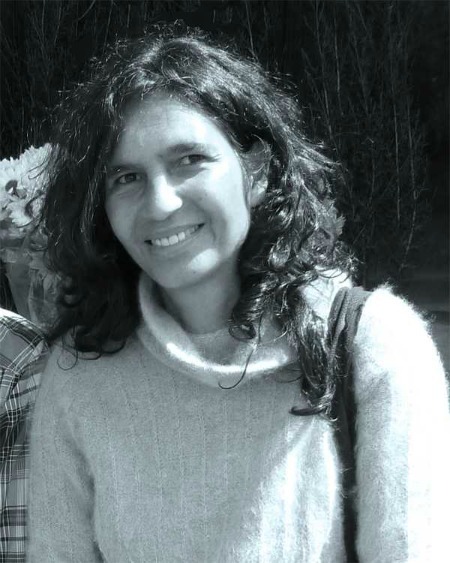 Interested in different cultures, Al-Doghachi has been drawn to Central America where she has collaborated with Robert Flanagan on several documentaries including THE GARIFUNA – An Enduring Spirit, THE MAYA OF TOLEDO – Ancient Culture, Modern Lives, SAVING PARADISE, RIVER TO REEF and currently MAXIMÓN – Santo o Diablo. “What I love about MAXIMÓN is the sincerity and faith of the people. After spending so much time with the material in the editing room the situations are just as electrifying as the first time I experienced them,” says Al-Doghachi.